1942 – Sunday Dad slept Most of Day. went To Harris In afternoon got check last Night 110.46. Has 2 Days off. 1943 –Dad & Bud worked I cleaned house got Dinner & went To Bed early every body tired out. 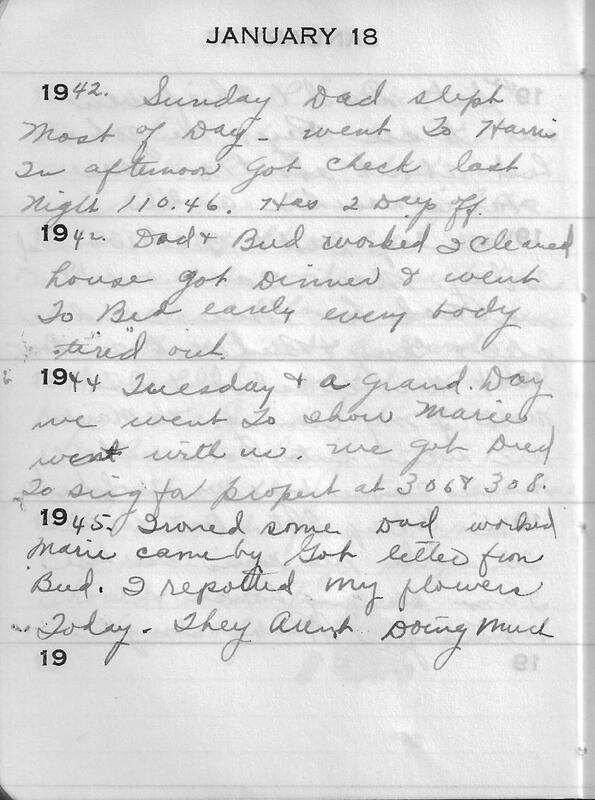 1944 –Tuesday & a grand Day we went To show Marie went with us. We got Deed To sing for propert at 306 & 308. I believe that last sentence in 1944 entry should be – We got deed to sign for property at 306 & 308. I wonder if they bought property. Or paid off property. Looks like I’ll have to do some more research.